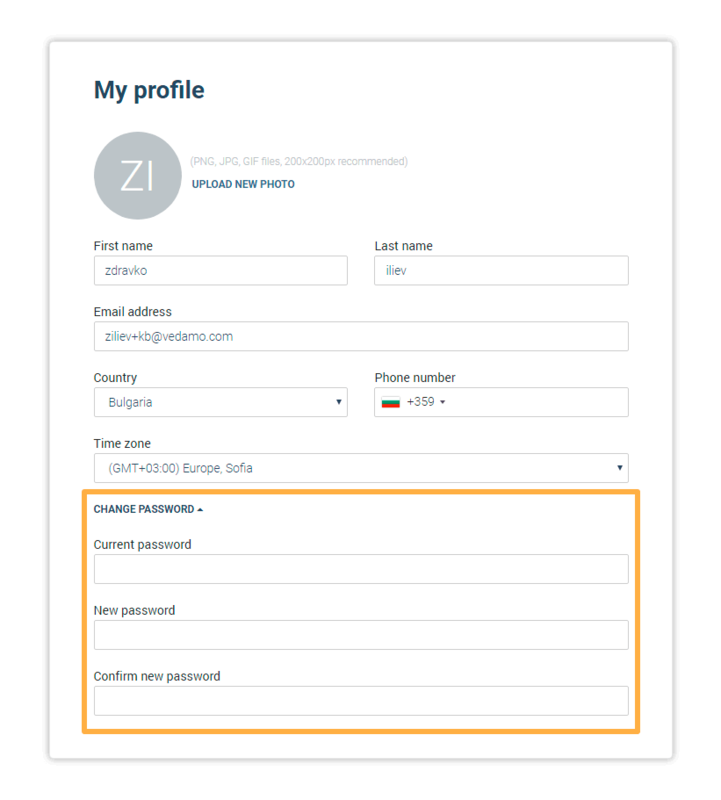 The Virtual Classroom profile settings menu allows you to change your profile settings and/or your account password. You can view and edit your Virtual Classroom profile settings from either the dropdown menu with your avatar, located in the upper right corner of the website (when you are logged in), by clicking on it and selecting Profile, or, if you are on your dashboard for example, you can see a profile button right under your avatar and name, on the top of the left-hand side menu. All fields can be edited. 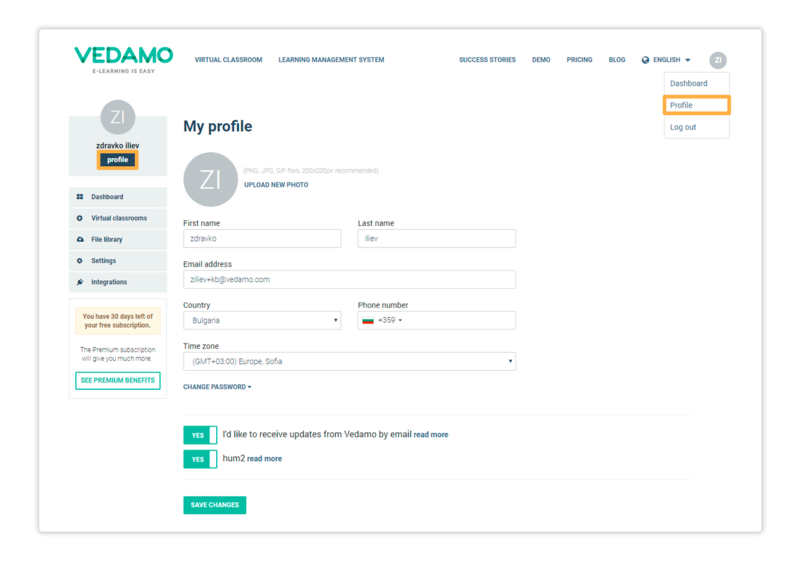 You can upload a new profile photo, change your account details (first name, last name), put in a new email address and phone number or change your password. Once you have finished making your changes, click Save changes to submit them. You will get a confirmation that the update was made. Change password can be accessed by clicking on it to expand the password change menu. Once you have made the desired changes, click Save Changes to confirm them.